I have taken part in sport for many years – initially with club rugby and then running where I competed in various distances up to marathon. 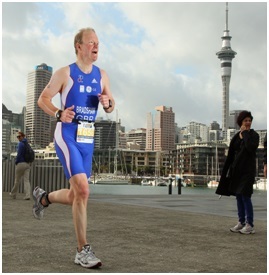 I started with triathlon 5 years ago to be able to continue with a reasonable level of training whilst reducing the impact stress on an aging body by doing other disciplines than just running. 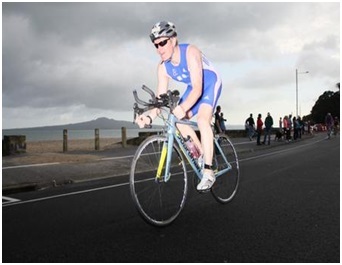 I have competed in all of the triathlon race distances – with greater enjoyment and success in some than others! For the past 3 years I have been fortunate to qualify in my Age Group for Team GB Triathlon in World and European championships at the sprint distance. I began coaching 2 years ago with the aim of providing guidance and advice within my own club (Calne SMaRTT) which is developing triathlon particiaption from a group with a predominently running background. As such my focus is to not only support the better athletes in achieving their goals but as importantly, to encourage and develop young and novice triathletes to progress within the sport. I have been particualry involved in the swimming aspects of athlete development for the club as this is often the discipline which prevents people attempting or progressing in the sport. Additionally, many triathletes focus purely on fitness and speed within their swimming training and I have been running a series of courses to help improve swimming technique which allows greater speed and endurance from a similar amount of effort. I currently coach club sessions in open water and pool based swimming together with turbo training and transition skills. My coaching aims are to encourage greater participation in the sport to the level at which the triathlete wants to progress. I am also keen to promote the excellent cross training and core strength ethos of multisport to help reduce injuries often associated with single sport athletes. I am a British Triathlon Coach (Level 2) and currently the multisport club coach with the Calne SMaRTT Running and Triathlon Club.